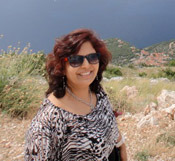 Mrs Pushpa Bhandari both cosmetic experts and researchers on Indian natural therapies. This enterprise was launched in the year 1992 and with years of research and clinical trials, and then NATURES WAY was born. The unique selling point of Natures way is its simplicity in formulation as they we believe that keeping your beauty regime as natural and as simple as possible, is the best way to effective skin care. The second point is that products are hand made which helps in sealing in freshness of products where by mass produced products become very diluted in its action. The third factor is that products are richly incorporated with pure aroma oils and natural colours only. Natures way is very proud to declare that all the clients who have been using their products have never shifted their loyalty as the skin or hair never become immune to its action and continuous use enhances the glory and beauty of the skin. Natures way is also one of its kind in specially formulating and customizing skin and hair care according to clients requirements and for highly stubborn beauty problems. 2011 www.natureswaycosmetics.com . All Rights Reserved.